For a brief explosive period in the mid-1970s, the young and the unemployed of Italy’s cities joined the workers in an unexpectedly militant movement known simply as Autonomy (Autonomia). Its “politics of refusal” united its opponents behind draconian measures more severe than any seen since the war. 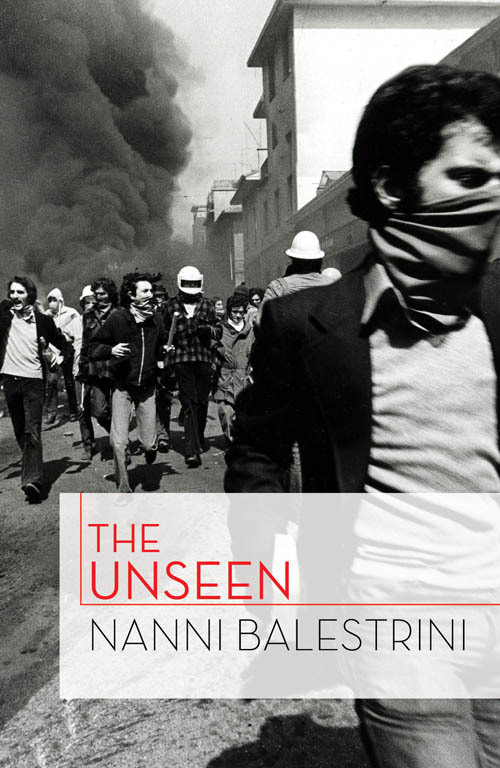 Nanni Balestrini, the poet of youth rebellion, himself a victim of that repression, has invented a remarkable fictional form to express the hopes and conflicts of the movement. In spare but vivid prose, The Unseen follows Autonomy’s trajectory through the eyes of a single working-class protagonist—from high-school rebellion, squatting and attempts to set up a free radio station to arrest and the brutalities of imprisonment. This is a powerful and gripping novel: a rare evocation of the intensity of commitment, the passion of politics. The Unseen is also available for purchase at Verso here. The original PDF is laid out for printing and binding, it's real pain to read it. Brilliant, that's much better! I was sorely disappointed when I put the original one on my Kindle and the text was too tiny to read. I've added the epub and mobi versions for those of us who read stuff on a kindle or a phone or whatever.